Ouija is setting up the type of horror franchise that can only get better with each sequel. While not universally loved like some of the other recent Blumhouse hits, it grossed over $100 million worldwide off a $5 million budget. So news of a sequel should come as no surprise. 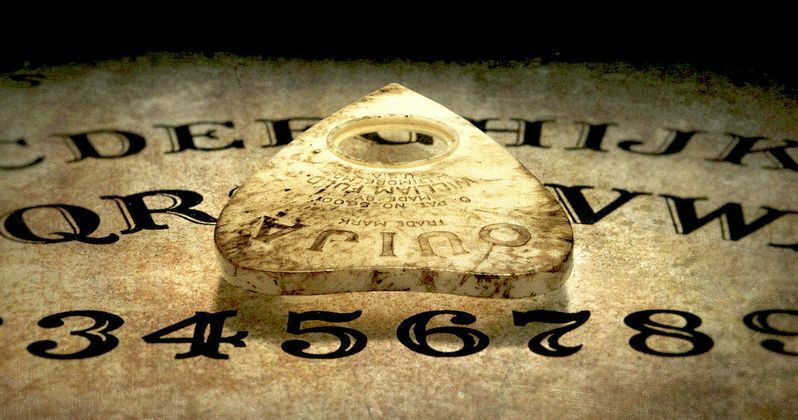 Universal has set Ouija 2 for October 21, 2016, assuring its arrival in time for Halloween next year. Mike Flanagan, who is penning the I Know What You Did Last Summer remake, will collaborate with Oculus writer Jeff Howard on the script. The October date was originally being reserved for an untitled Blumhouse horror movie, which was the last of 3 Blumhouse thrillers announced last year. Universal will handle distribution, as it did on the original. No cast or director have been set yet. Ouija 2 will continue the story from the first film. The thrills begin when a group of high school friends unwittingly call forth a malevolent entity that forces them to face their most terrifying fears. This evil they have unleashed must be contained, and can only be sent back to Hell by them with the help of Hasbro's trusty Ouija board. Platinum Dunes partners Michael Bay, Bradley Fuller and Andrew Form, Blumhouse's Jason Blum, Hasbro's Brian Goldner and Stephen Davis are all returning as producers. Ouija 2 will be going up against the Warner Bros. thriller Geostorm starring Abbie Cornish, Katheryn Winnick and Gerard Butler.